DUBAI (Bloomberg) -- Sasan Ghorbani says the Iranian auto industry conference he's organizing in Tehran this weekend is suddenly a hotter ticket than he'd expected. Visas will be made available upon arrival to meet a surge in demand after the last weekend's Geneva agreement to ease trade restrictions on Iran, said Ghorbani, head of the Islamic Republic's auto-parts manufacturers association. "Everyone asks us, 'Did you know that sanctions would be lifted days ahead of this conference?'" he said in a phone interview Monday. "To be honest, we didn't." Among confirmed participants in the Iran Auto Industry International Conference on Saturday are Renault SA and Italy's Pininfarina SpA, according to the event's Web site. Their arrival holds out the promise of investment in an economy driven into recession by sanctions, and may add to the post-Geneva optimism that's also on view in Iran's unofficial currency markets, where the rial has surged since the accord was signed. The agreement, which diplomats aim to replace with a final settlement in six months, will lift some trade curbs in return for restrictions on Iran's nuclear work. That opens the door for international companies to enter a country of about 77 million people. The U.S. says the deal will bring Iran benefits worth $7 billion over six months, equal to about 2.7 percent of Iran's output in the period based on World Bank data. That includes $1.5 billion in revenue from the suspension of sanctions on industries including autos and petrochemicals. The Iranian rial has gained almost 4 percent against the dollar in the unregulated market since the deal was reached early on Nov. 24, according to five money changers interviewed in Tehran. It traded at 28,900 rials a dollar yesterday. "I had two customers who wanted to sell a huge amount of dollars today," said Jamshid, 55, who owns an exchange shop and declined to provide his last name due to security concerns. "They were worried that their assets in dollars will lose more value in the near future." The rial had lost more than half of its value before President Hassan Rouhani was elected in June, as oil output slumped to a two-decade low. Rouhani, who campaigned on promises to ease sanctions, inherited an economy that shrank more than 5 percent in the fiscal year through March and an inflation rate of about 40 percent. Economic output may shrink another 0.5 percent in the current fiscal year, the International Monetary Fund said this month before the Geneva accord. Hossein Ghazavi, a former Iranian deputy central bank governor, said the agreement will ease the concerns of local and foreign businessmen. "It will provide international and regional financial institutions a freer hand to consider more finance for projects and trade in Iran," he said by e-mail. The optimism may be premature. Israel and some U.S. lawmakers, who accuse the Islamic Republic of seeking nuclear weapons, oppose any compromise with Rouhani's government. The agreement also left the bulk of sanctions intact, including those on crude exports, and can be reversed if the two sides fail to reach a comprehensive accord. There's nothing in the Geneva agreement "to suggest that there's going to be a major improvement in the economy," said Edward Bell, a Middle East analyst at the Economist Intelligence Unit. The U.S. said the accord will enable Iran to repatriate about $4.2 billion in frozen assets. Rouhani's government "seems more restrained and less oriented toward populist spending" than the previous administration of Mahmoud Ahmadinejad, and will probably use the money to shore up the central bank's reserves and support the currency, Bell said. That may not be enough to reverse the economy's decline because inflation "has done so much damage eroding purchasing power and distorting the real value of goods," he said. 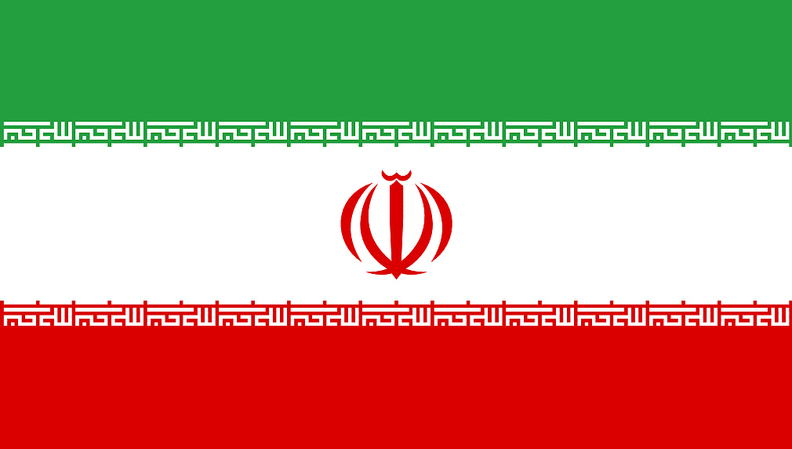 Some in Iran had opposed the prospective deal because it would involve too many concessions. Even if it's limited in scope, a "tangible improvement" in Iran's economy would boost domestic backing for Rouhani's diplomacy "and hence the pressure for a lasting agreement," according to Raza Agha, the London-based chief Middle East and Africa economist at VTB Capital Plc. Iranian Foreign Minister Mohammad Javad Zarif, asked about the prospects of a final agreement, said: "If political will exists there is nothing that can't be resolved." Ghorbani says he hopes to gather similar momentum in his own industry once the foreign executives join the auto conference. "Eventually we are looking for partnership with international companies for joint investments to build inside Iran," he said. Investors "are after new markets, and I think Iran's market is a virgin territory and has enough potential for investment." An official at Iran Khodro, one of the biggest local automakers, said it will be easier now for foreign companies to come to Iran. There are plans to discuss new contracts on the sidelines of the conference, said the official, who asked not to be identified because he wasn't authorized to speak publicly. PSA Peugeot Citroen, Europe's second-largest carmaker, sold 458,000 vehicles in Iran in 2011 before the trade sanctions, making it the second-biggest market after France. Chief Financial Officer Jean-Baptiste de Chatillon said last year that the sanctions had cut 10 million euros ($13.5 million) a month from operating profit. Ghorbani said he hopes that era is coming to an end after Rouhani's election. "Sometimes good things happen," he said.